“…this book grabbed my interest from page one. I’m sure Ms. George has more than a few industry insiders chuckling at her stories and cringing at how close to home they hit. Can one woman change an age-old institution like publishing? Probably not, but Kate Mitchell sure wants to try. 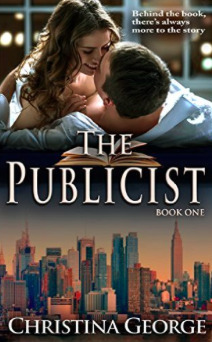 As a publicist with a large, respected New York publishing house, Kate finds herself at the mercy of a broken publishing system, books that don’t sell, and author egos that are often, well, as big as the island of Manhattan. Enter the star editor, MacDermott Ellis: Tall, handsome, charismatic, married, and ready to save the day. Then there’s Allan Lavigne, once a revered author—now as forgotten as last year’s bestsellers and his nephew Nick: Tall, gorgeous, sweet, single, and ready to sweep Kate off her feet. Kate wants to do the right thing but her hormones seem to be driving her decisions.